Software Development | SoleNet, Inc. | Electronic Services, Board Design, FPGA Design, RF Design, Mechanical Design, Embedded Software, System Analysis. SoleNet has extensive embedded software design experience that can help get your product to market quickly. Our product design experience includes consumer, military, video, and systems for clients ranging in size from start-up to Fortune 100 companies. SoleNet software engineers are familiar with many different microprocessor platforms, ranging from 8-bit micros running basic applications to 32-bit micros running Linux or VxWorks. SoleNet specialists can integrate sophisticated video and audio algorithms into DSP devices to support enhanced user experiences. Our engineers develop devices implementing a wide range of communication protocols: USB, Ethernet, UART, SPI, I2C, and RF including Bluetooth, ZigBee, WiFi, GPRS Cellular and Custom RF protocols. Our embedded software team works with you throughout your entire product design cycle. 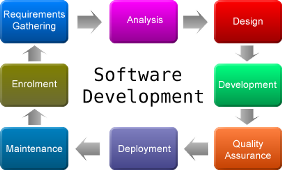 At SoleNet, we listen to your product concepts and help define feature requirements and create system architectures. Whether you need a one-of-kind prototype or a high-volume product, our embedded software team will develop the system appropriate for your needs. Development of real-time and embedded software and firmware, implementing various digital signal processing and control algorithms. Development of embedded software for TI’s DaVinci series of DSP/ARM processors to implement near-real-time image and video processing. Development of VxWorks based software running on PowerPC and ARM/Cortex processor families for Software Defined Radio (SDR) platforms. Code Composer for TI DSP software development.